The future is here with the Beautyrest Hybrid Mattress In A Box. It delivers the comfort of memory foam with optimal contouring support of Beautyrest Pocketed Coil® Technology, the World's Premier Support System. For your convenience, this mattress is rollpacked, compressed, and shipped in a box. 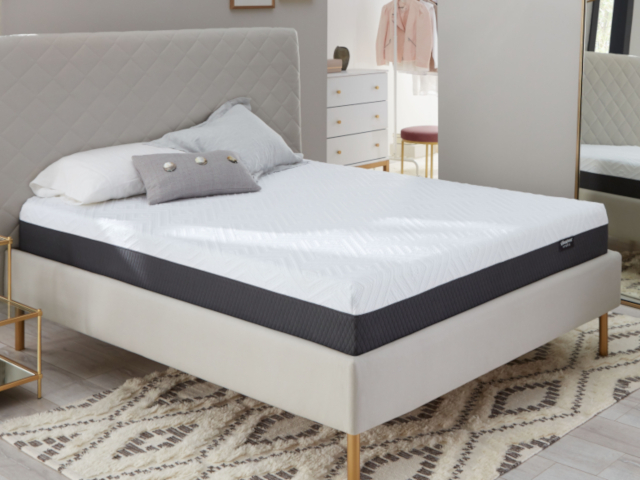 Beautyrest Pocketed Coil technology and proprietary AirCool® foams are designed to help provide exceptional sleep through temperature management, pressure relief and support. By bringing together the best qualities of supportive coils and pressure relieving foams, Beautyrest mattresses provide the energizing sleep you need to seize the day. Cooling Beautyrest Gel Memory Foam helps provide pressure point relief while keeping you at your ideal sleeping temperature. 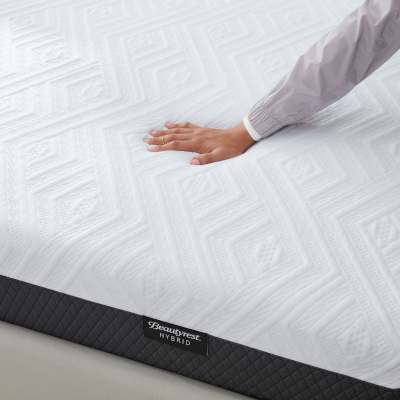 Beautyrest AirCool gel foams help provide pressure point relief with luxurious softness and support. 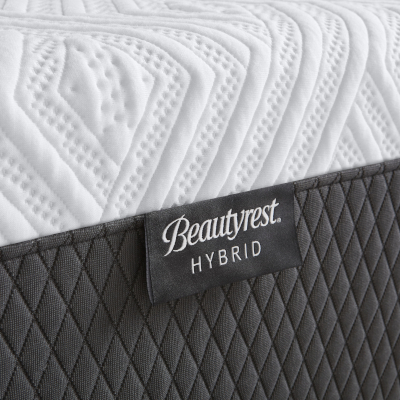 Beautyrest Pocketed Coil technology works independently to support the natural shape of our body. It also provides motion separation for undisturbed rest if your partner moves during the night. This mattress is rollpacked, compressed, and shipped in a box (approximately 42 in. x 21 in. x 21 in. ).